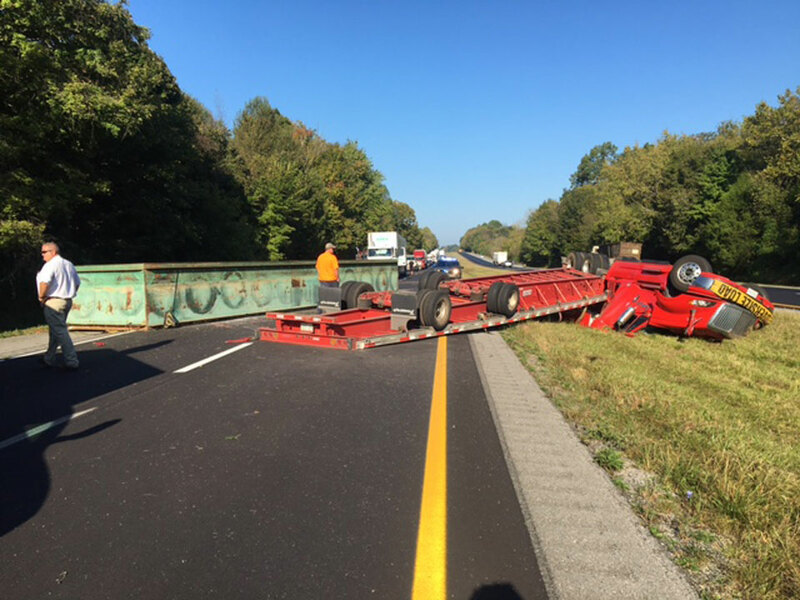 Kentucky State Police investigated a single vehicle crash on the Louie B. Nunn Parkway Wednesday in Adair County around 8:42 a.m. Preliminary investigation show that 53 year-old Tommy Criss of Memphis, TN was operating a 2018 International semi east on the parkway past the Columbia exit. Criss for an unknown reason dropped off the shoulder of the roadway, overcorrected and overturned. The truck and trailer blocked both of the east bound lanes for more than 6 hours. Criss was wearing his seat belt at the time and was transported to TJ Health Hospital with non-life-threatening injuries by the Adair County EMS. Officer First Class Casey Tooley is investigating and was assisted by Sgt. Randy Honeycutt, Captain Joey Conn, Captain Jamie Heller, Trooper Nick Hale, the Adair County Sherriff and Fire Departments and Kentucky Transportation Cabinet.